Fruit jellies in form of candies with taste of different fruits and berries. 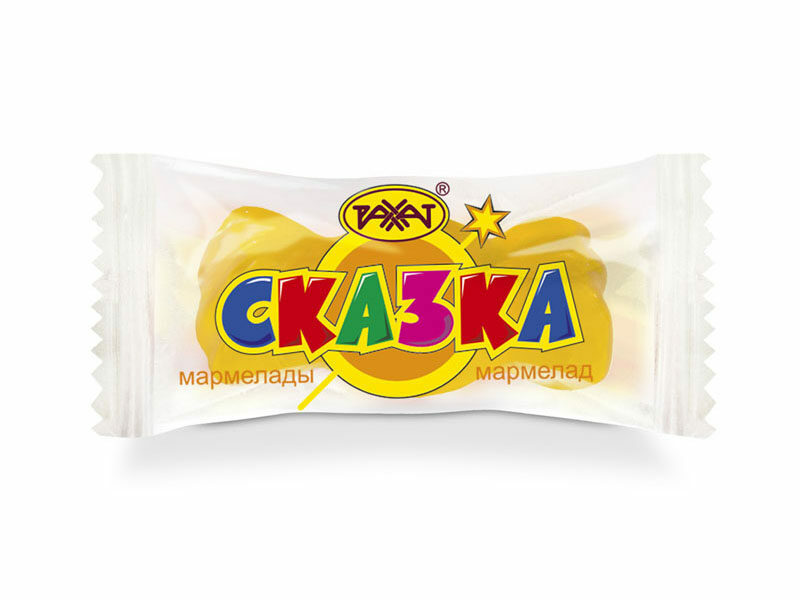 Ingredients: glucose syrup, sugar, water-holding agent – sorbitol; gelling agents: gelatin, agar; neutralizer – citric acid; glazing agent – carnauba wax; aromatizers are identical to natural, food colouring agents: curcumine; radish, lemon, blackcurrant concentrate, Е171, Е141. Storage temperature is (18±3)°С, relative air humidity should not exceed 75%.